​Welcome to Restoration Ranch — where veterans care for the horses, the land and each other. Restoration Ranch is a 27-acre horse ranch located in Bastrop, Texas that is run by veterans for the benefit of other veteran families and the Joyful Horse Project’s rehab horses. It’s a place where veterans, horses and the land each contribute to the health and well being of the others. The ranch provides access to a rural way of life that embraces holistic health, sustainable agriculture and community building programs aimed at restoring the physical vitality, emotional and spiritual health of all involved. ​If you are a veteran interested in participating in the program, please complete the Inquiry Form and one of our coordinators will get in touch with you. We also welcome other veteran service organizations to schedule workshops and retreats at Restoration Ranch. You can contact us via email at: vets@joyfulhorseproject.org. “Batman [a name chosen by the two children of Batman’s generous sponsor Jeff Tobar] is the perfect name for this mustang. He is courageous and mysterious. He has this pure black shiny coat; he has a sparkle in his eyes. He wants only to do good things and to be treated right. He has no special powers but he comes with exactly what he needs,” U.S. Air Force veteran and Professional Association of Therapeutic Horsemanship International Registered Level Instructor Ron Hathaway said of the four-year-old gelding who now calls BraveHearts Therapeutic Riding and Educational Center in Harvard, Ill. home. ​“We got Batman in 2015 in Rock Springs, Wyoming. [PATH Registered Level Instructor and U.S. Marine Corps veteran Cpl.] Nicholas Montijo, [U.S. veteran] Rhett Bain, [PATH Registered Level Instructor and Director of Operations at BraveHearts] Paddy McKevitt and myself selected him as one of the five mustangs we chose from the Checkerboard Roundup,” explained BraveHearts President Chief Operating Officer and PATH Master Level Instructor, Meggan Hill-McQueeney. ​Hill-McQueeney also noticed that he was long-legged and substantial in size for a two-year-old mustang. For the work that the horses do at BraveHearts – working frequently with veterans and adults – she thought the stunning black young gelding Batman would fit in well. In February of 2015, the young horse with markings that fascinated Hill-McQueeney set his hooves on BraveHearts soil. ​Soon after, veterans were able to begin the process of gentling him. One of those veterans was Hathaway. 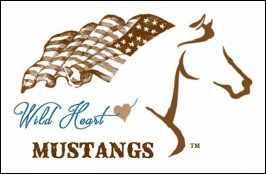 “Mustangs and veterans with post traumatic stress disorder understand one another. We are both untrusting and fearful and full of anxiety. [Batman and I] were both overwhelmed with little things – doors opening, people, new things. But we gain trust as we grow with each other. [In each other], there is something to lean on as we grow,” Hathaway said. “Every week, I get to recharge. Batman teaches me to be patient – to appreciate even the little things. … For me, as a veteran with PTSD, I am blessed to be here – to work with Batman. … The lessons I learn with Batman – to appreciate every small thing from a touch to putting on a blanket to putting on a saddle – the lessons transfer into my everyday life. I am more patient with my family, with my kids, with my wife, my grandchild. I see the beauty in every moment with them … and it is because of Batman,” Hathaway continued. 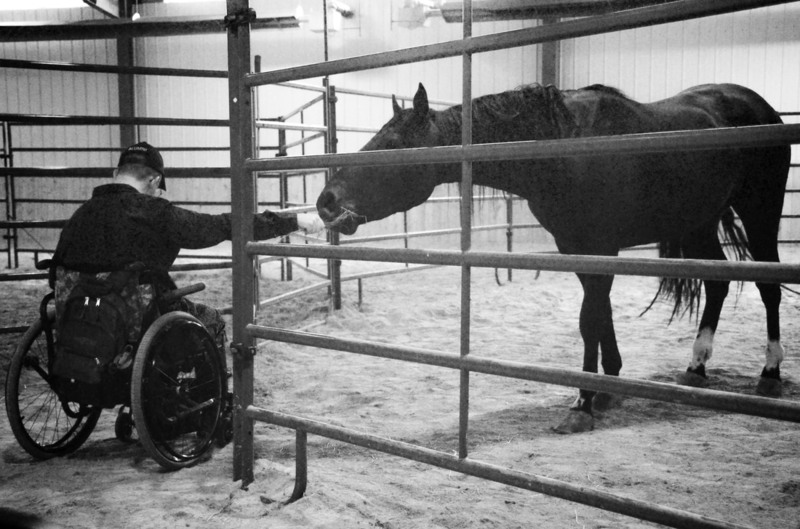 ​Hathaway has been a part of Operation Mustang®, for almost two years at BraveHearts, a program offered at no charge for veterans to gain horsemanship skills by training and working with wild mustangs. But horses like Batman also serve adults with various diagnoses. Joan Keller also has worked extensively with Batman. Keller came to BraveHearts two years ago after suffering a stroke eleven years ago. 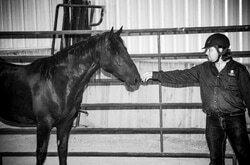 ​The young gelding from Rock Springs has found his forever home at BraveHearts, but Batman stands to be a staple in the program as he grows and develops, changing the lives of veterans as he does. Joyful Horse Project at Restoration Ranch - Bastrop, TX - Welcome to Restoration Ranch — where veterans care for the horses, the land and each other. Veteran families who join our team at Restoration Ranch have the opportunity to learn from the horses, build connections within the local community, contribute to service-oriented projects, and generally enjoy a safe-haven for personal growth and fulfillment.